1 Why Do We Measure Stress? 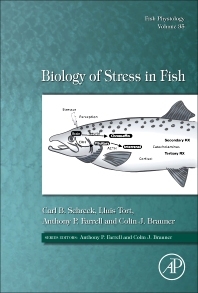 Biology of Stress in Fish: Fish Physiology provides a general understanding on the topic of stress biology, including most of the recent advances in the field. The book starts with a general discussion of stress, providing answers to issues such as its definition, the nature of the physiological stress response, and the factors that affect the stress response. It also considers the biotic and abiotic factors that cause variation in the stress response, how the stress response is generated and controlled, its effect on physiological and organismic function and performance, and applied assessment of stress, animal welfare, and stress as related to model species.